Love Life. Laugh Often. Play Hard. Live like Tyler lived, and you will live a life worth living. 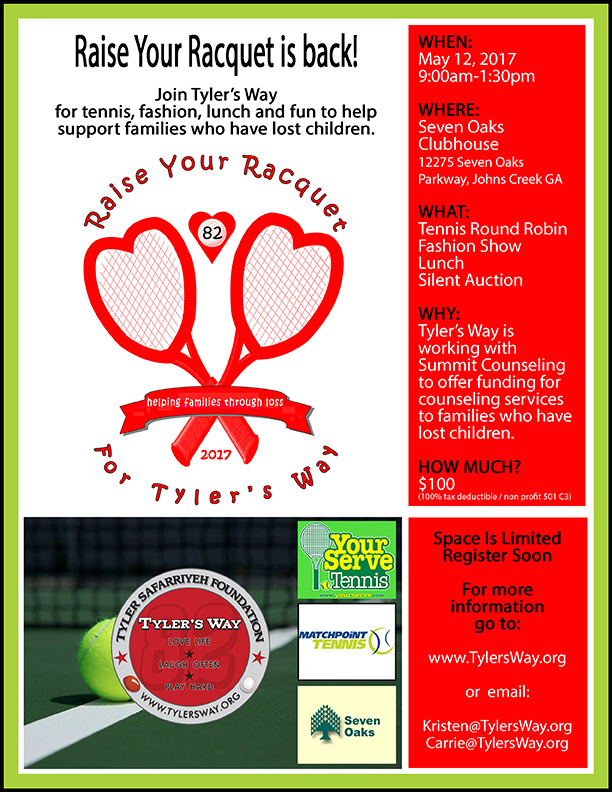 Join Tyler’s Way for tennis, fashion, lunch and fun to help support families who have lost children. Tyler’s Way is working with Summit Counseling to offer funding for counseling services to families who have lost children.